The “Deutschland hautnah – Germany behind the scenes” programme ranges from an invitation to coffee to a weekend spent together. Hosts from the region invite scholarship holders to their homes or show them their home town and area. This often leads to friendships developing. “A feeling of home,” is how Natascha from Belarus describes her visit to a family near Karlsruhe. The concept is simple: local residents invite international scholarship holders to their homes or offer a joint excursion. All this is organised by the regional groups of DAAD Alumni & Friends. Generally, an invitation is sent out once or twice a year by email. 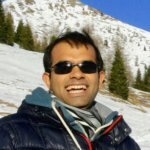 The exact procedure for allocating host parents and scholarship holders differs from group to group. 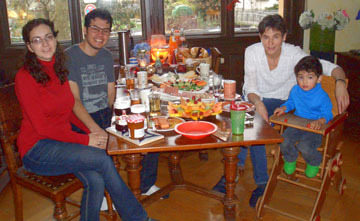 Christmas with a German family – that was amazing. We learnt a lot about culture and traditions, and the children performed a Play. Fascinating insights into everyday life, a visit to a school or a sports tournament, a relaxing games evening: it’s the little things that make it possible to take a look “behind the scenes” and find out how people in Germany live. There are often joint excursions to nearby cities. One special opportunity is a visit on festive days, for example when scholarship holders are invited for Christmas. The “Deutschland hautnah – Germany behind the scenes” programme goes back to 2012 and is still being developed; not all regional groups send out invitations. Generally, the aim is to organise this at a regional level as it is easier to intensify contact. If this is not possible, other regional groups try to find hosts for scholarship holders. “Such stays greatly contribute to an understanding between cultures,” says Mohammed Al Abed from Yemen. And that is our objective.